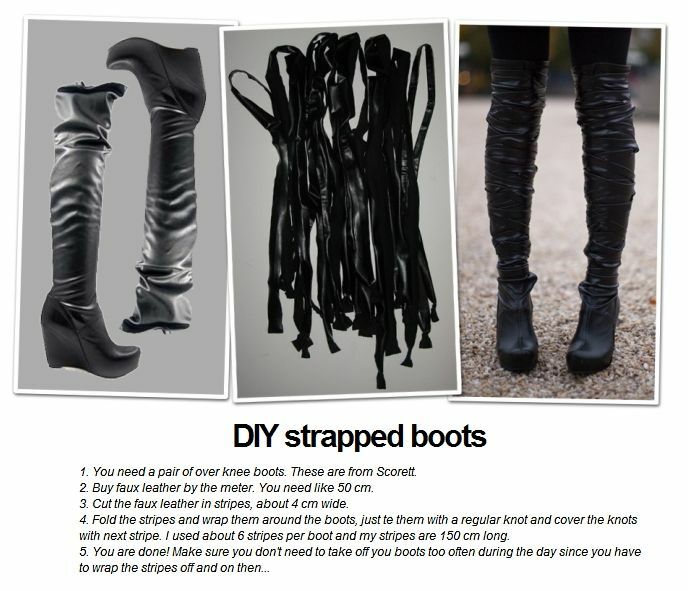 For those of us who can't afford Nicholas Kirkwood for Rodarte thigh high strappy boots, Caroline has inspired us with a little diy and ingenuity to make our own boot-iful(i know, i know) masterpiece. And it looks like Jeffrey Campbell did it again. I would probably hold out on a nicer pair of thigh highs since these look horribly cheap and the straps are too wide.